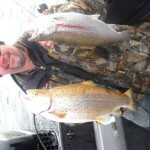 Spring brown trout, cce out through May. 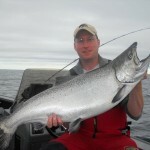 Spring stream steelhead, March through May. 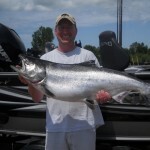 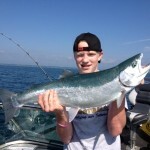 Lake Michigan trout and salmon, June through September. 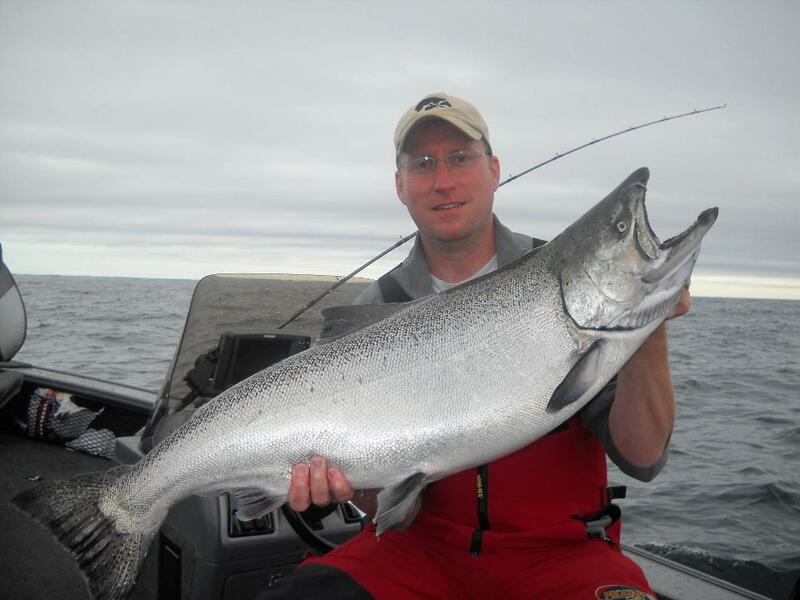 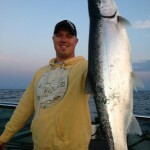 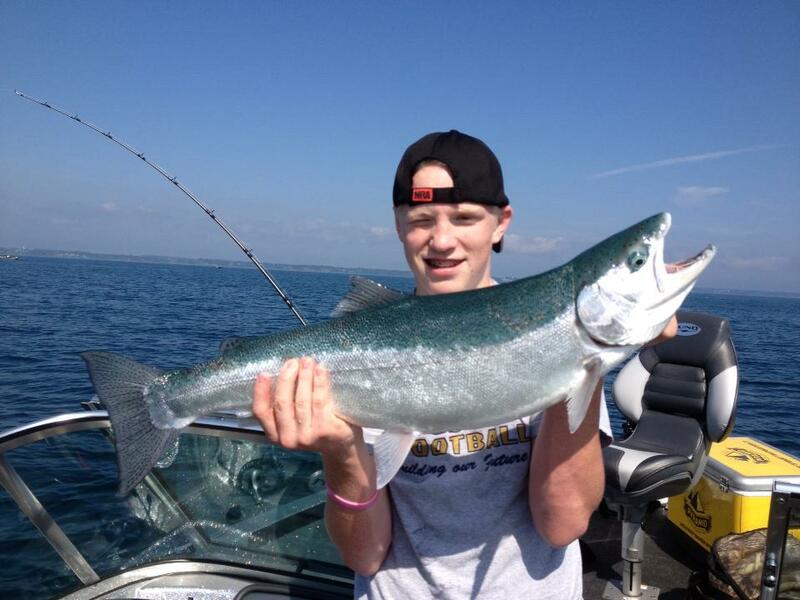 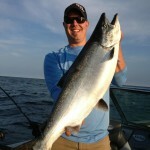 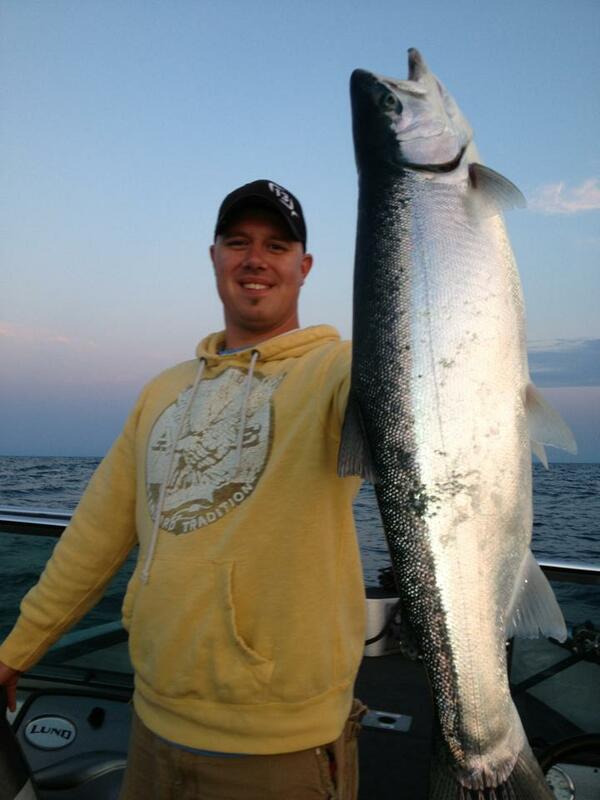 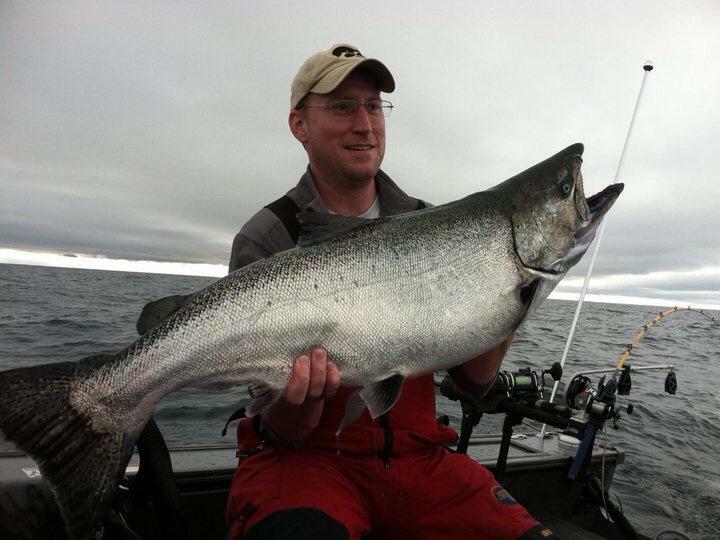 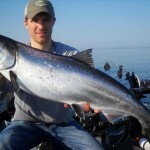 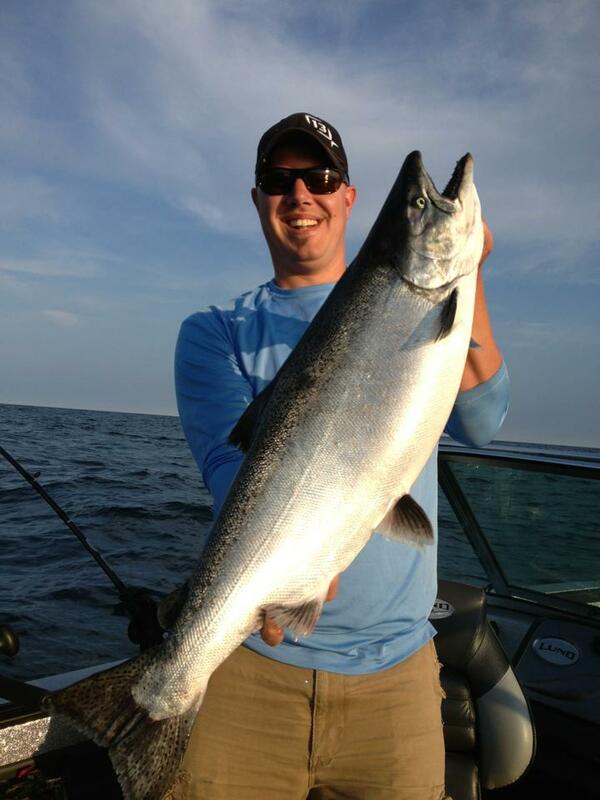 Fast action and huge fish are what Lake Michigan trout and salmon is all about. 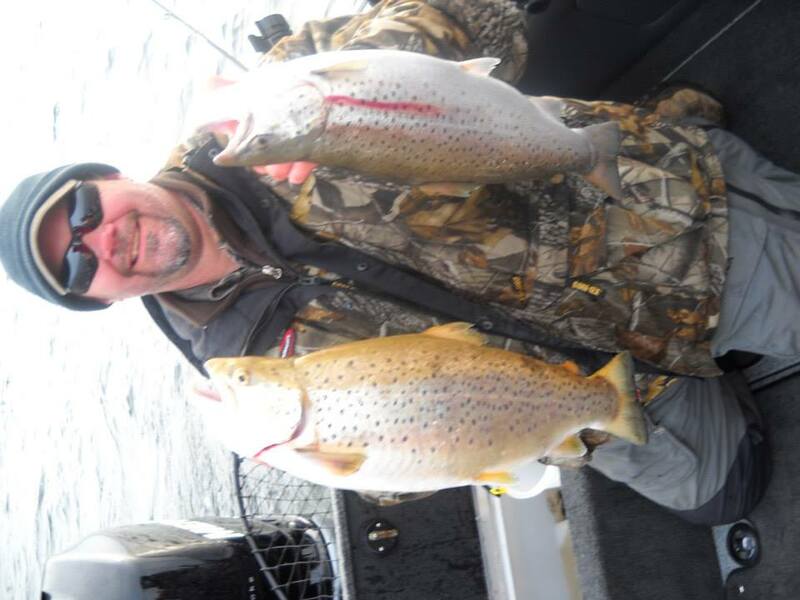 Early spring brings some fantastic fishing for hard fighting brown trout. 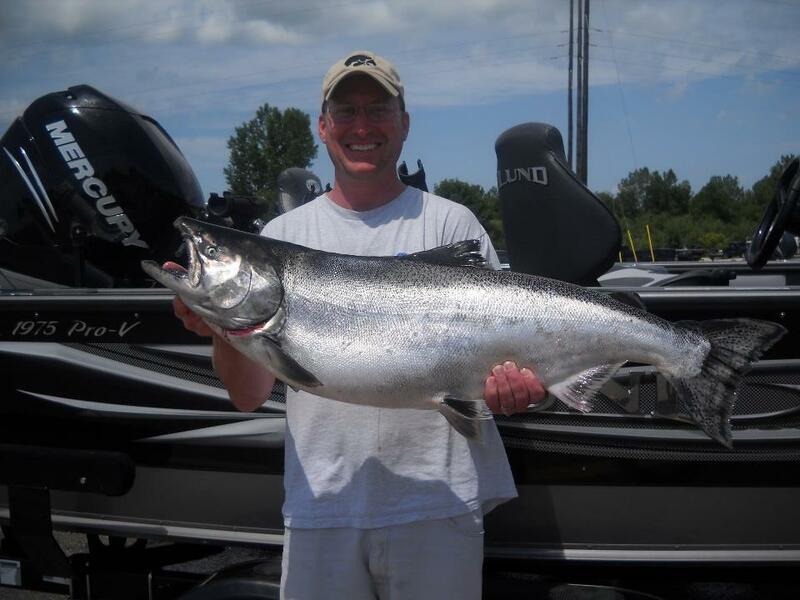 These trips are for the fisherman who likes to be involved in the action and setting of lines, rather than just sitting back and cranking them in on the big charter boats. 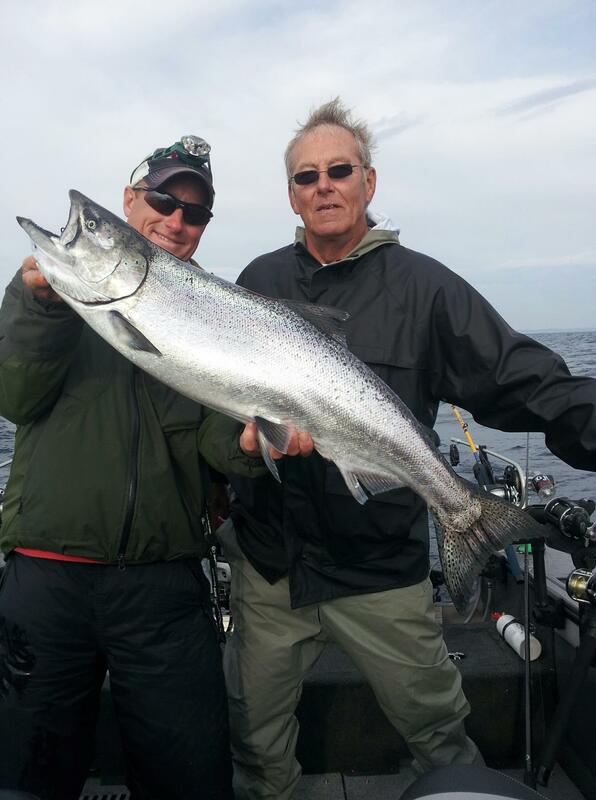 If you want to be in on all the action, this is the trip for you. 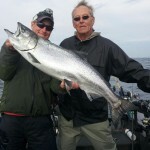 As summer begins the salmon action takes off. 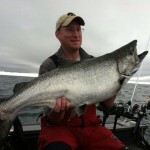 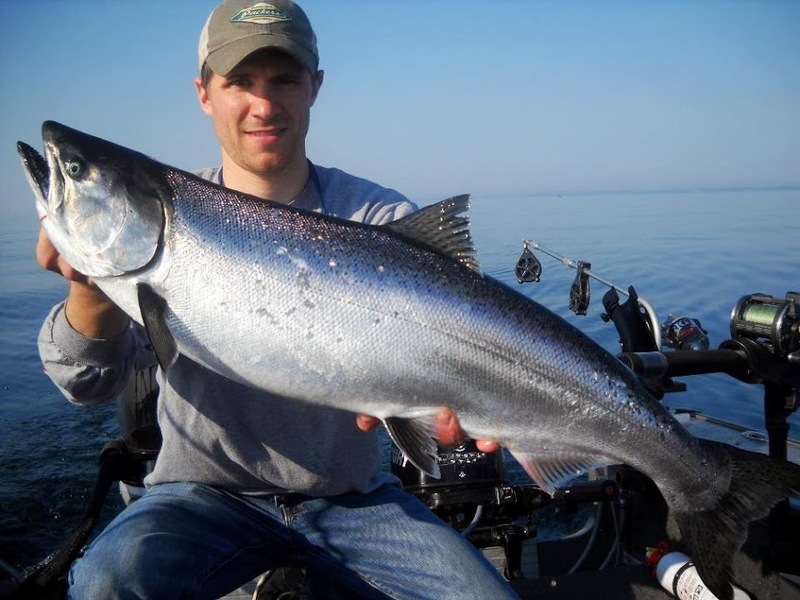 Limits of king salmon, cohos, and rainbow trout can be expected. 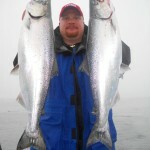 The best part is I clean and bag all the fish before you leave! 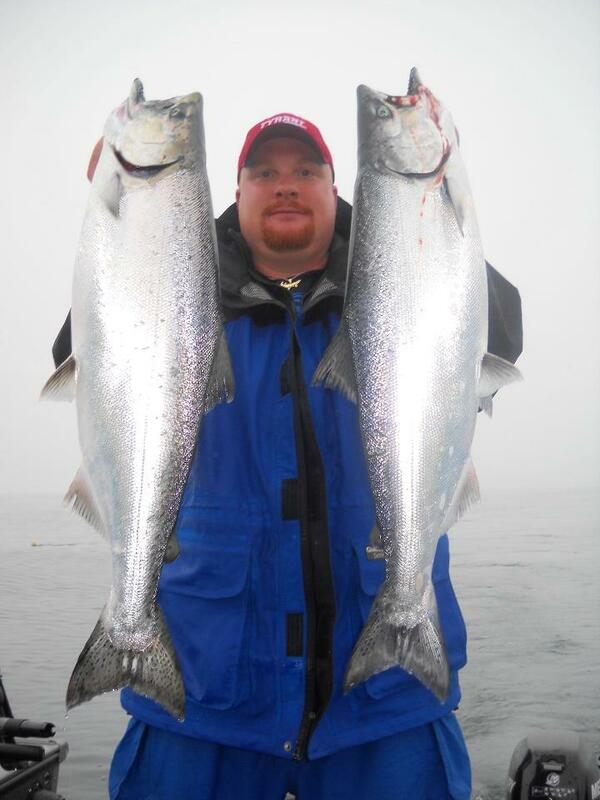 Just bring a cooler and ice to take your catch home!